Why are Democrats crying about illegal border crossing now? The law has been in place and used by prior administrations without a similar outcry. Why are protests coming now? 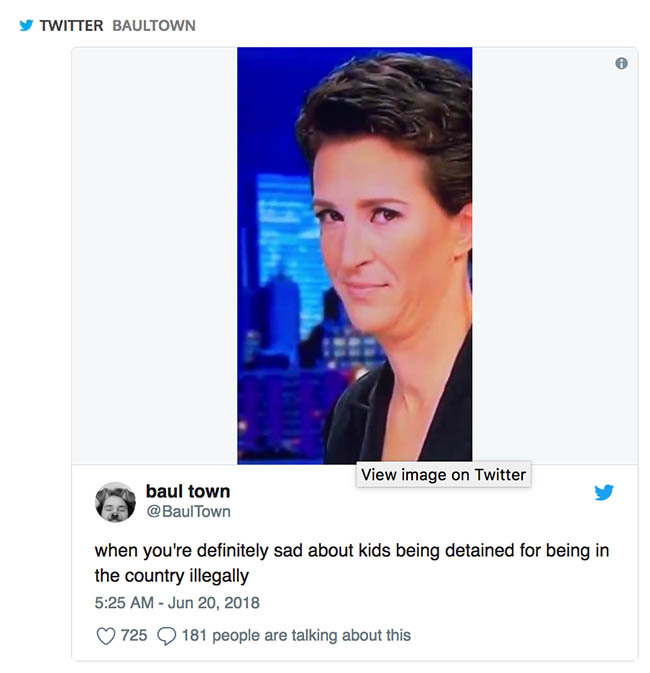 Watch Rachel Maddow fake cry as she describes the situation that’s been going on for years! Is this performance fake tears for political propaganda? She must have seen her TV ratings lately.